I have been slower in putting up recipes since my life has gotten busier with a shift in my work place. I have also been focusing on getting the cookbook out, which involves focused work and discipline. I have to dedicate my off days to do this and we are aiming to release the cookbook in October. I want to talk about pickling today. 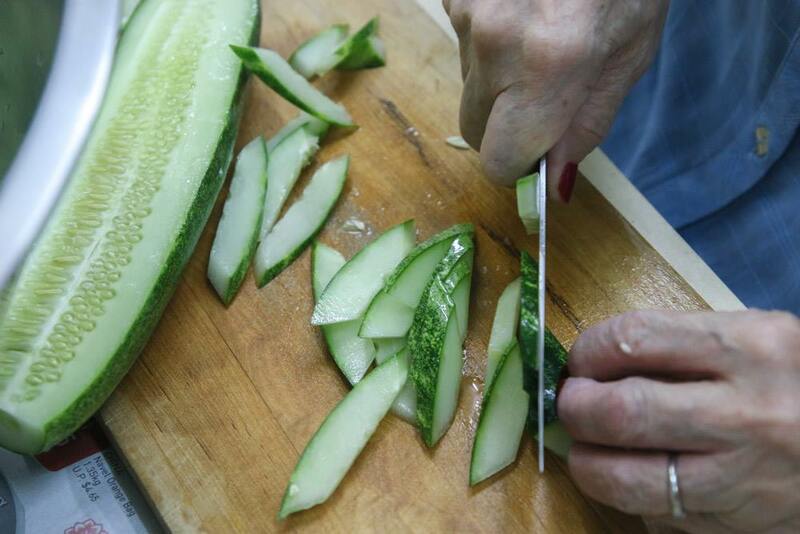 I am always amazed how the humble cucumber is transformed in flavour and texture through some simple pickling process. Pickling typically involves immersion in vinegar. The adding of salt dehydrates the vegetables further, resulting in a more intense flavour. A popular local pickled recipe is Acar, a recipe which I hope to put up one day soon on this blog. But for the moment, this simple recipe should be of help to those who are new to this kind of dish. It is fast and easy to do. 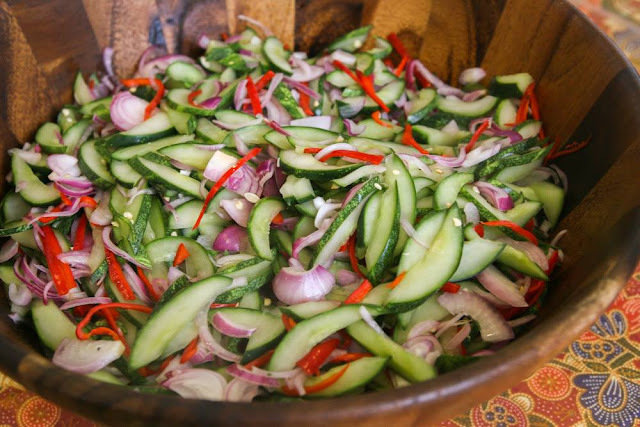 This condiment is commonly offered as a companion to Malay curry dishes as the sourish vinegar complements the richness of the curry dish very well. Deseed the cucumber. You can choose to peel off the skin. I like the dark green colour and so, I normally leave it on. Pour the pickling solution into the veg and mix throughly. Leave it for at least an hour in the fridge. Then strain it. Leave it in the fridge till it is served. Pineapple can also be added. Use a small one which is not overly ripe or sweet. You can also choose to pickle it longer and strain the cucumber before you serve.